Literacy is the ability to read, write, speak and listen well. A literate person is able to communicate effectively and understand what is being communicated to them. 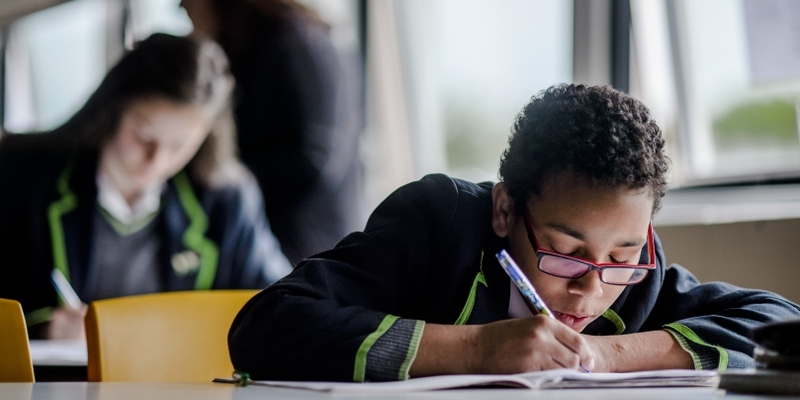 At Haggerston School, we believe literacy is fundamental to every lesson: every time a student writes, reads, speaks or listens they are potentially developing good skills and habits which will have a lifelong impact. Research shows that people with good literacy skills are more likely to have higher self-esteem, better health, better jobs and higher wages than those with poor literacy skills. They are more able to take advantage of the opportunities that life may offer them. We have a reading culture at Haggerston. Our Literacy policy states that all teachers should encourage students to develop a wide variety of reading skills by providing a wide range of reading opportunities, which foster a thirst for knowledge, and an enjoyment of reading for its own sake. Teachers should also support reading by explicitly teaching reading strategies and key words in lesson. At Haggerston School, students use the FAB FOUR or SKIM, SCAN, CLOSE READING strategy to approach challenging texts. Skim – Developing a general understanding of a text: the gist. Skimming will help you summarise a text and decide if it’s suitable. You can use markers on the page to help you do this: headings and subheadings; chapter titles; images and other presentational features; changes in font e.g. bold/italics; and, the first sentence in a paragraph. Scan – Reading a text to look for specific information. Once you know what you are scanning for, use your finger or a pen to guide you through the text. You can then underline/ highlight/ circle the information when you find it and annotate. Close reading – Reading a text carefully to develop an in-depth understanding. You will need to read the text at least twice and allow yourself thinking time. 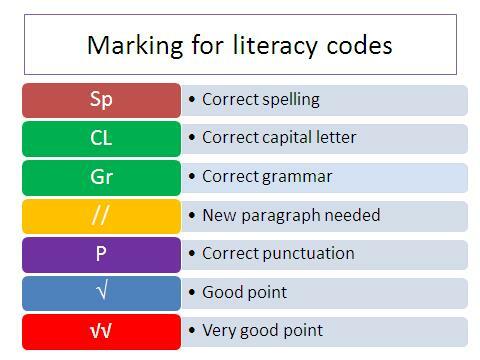 When marking students’ work, teachers will use the following codes to improve literacy.